Welcome to our ultimate guide to the types of interior design including pictures and information about color palettes, furniture and finishes. Every detail counts in interior design. Each single piece of element that you put into the space — beginning with biggest furniture to the smallest cabinet hardware is equally significant in painting the bigger picture, whether the space may have a traditional inspiration or a modern influence and style. But how do you know which furniture, furnishings and color schemes to choose given the hundreds, if not thousands of options available in the market today? This is where you will be needing an ultimate guide on the types of interior design. Whether you are looking for some inspiration for your new home or just simply want to give your old place a makeover, a reference guide on the different types of interior design comes in handy because it will allow to create an overall look that is true to its style , even up to the smallest detail. 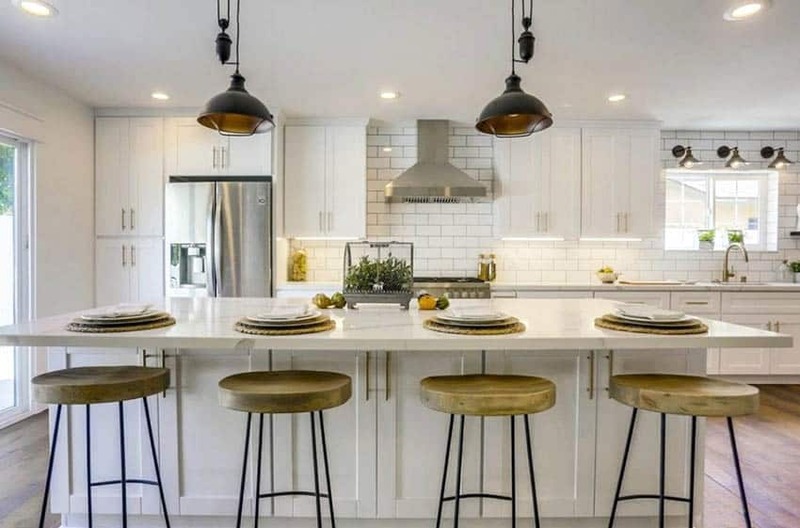 Below we have covered some of the most popular types of interior design styles to help you decide which one is the perfect match for your home. Traditional interior design style is an umbrella term for a number of styles which originated in the 18th and 19th Century . This style is the anchor for almost every type of interior design style. Characterized by a heavy European influence, Traditional interior design style is best known for its timelessness, elegance and sophistication. Color palette: Dark, rich colors such as deep reds, burgundy, forest green and other jewel tones are more commonly used in traditional style interiors. These bold colors are typically combined with neutral colored walls to create a warm and welcoming ambiance. It is refined and dignified and puts emphasis on symmetry, formality and order. Dark woods such as cherry, maple, mahogany, walnut are typically used for the furniture pieces, columns, panels, etc. Flooring is usually hardwood in a dark color stain. Architectural details are ornate, so you’ll find coffered ceilings, crown moldings, classic columns and wood paneling used in the space. Paneled or stained glass are also common elements in traditional style interior design. Furniture pieces have a “heavy look” and are famous for their curved form. These are typically made with wood in a natural or dark stain finish and are usually upholstered. Gilding or painting in gold and distressed finish is also commonly utilized to give the furniture a grand and sophisticated appearance. Tufted seats, high back rests, wingback, claw or bun foot, cabriole legs are prominently featured in the chairs and tables. You’ll also encounter the terms Chippendale, Louis VI Queen Anne furniture in traditional style interior design. Fabrics for soft furnishes often include leather, silk, velvet, linen and brocade. Accessories include priceless antiques, classic artworks and historical collections. Attention to fine details and elegance are key in choosing accessories for traditional interior design. Finishing touches like candelabras, fine china, antique lamps, regal chandeliers and persian rugs are perfect accessories for this interior design style. Conversation starting pieces are also used as focal points for traditionally styled rooms. Layout puts emphasis on symmetry and balance so everything is usually in pairs. 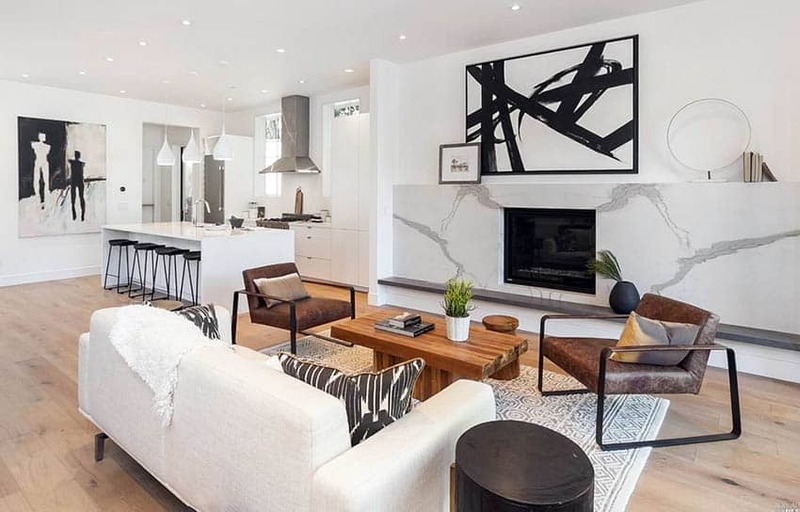 This is also used as a guide in establishing a focal point in the room, for example, two sofas, two ends tables and an armchair in between, two lamps at the end of a console table, two sconces for a wall, two pieces of art in a fireplace. Traditional kitchen cabinets are rich in detail with abundant use of natural wood that is stained, glazed or painted. 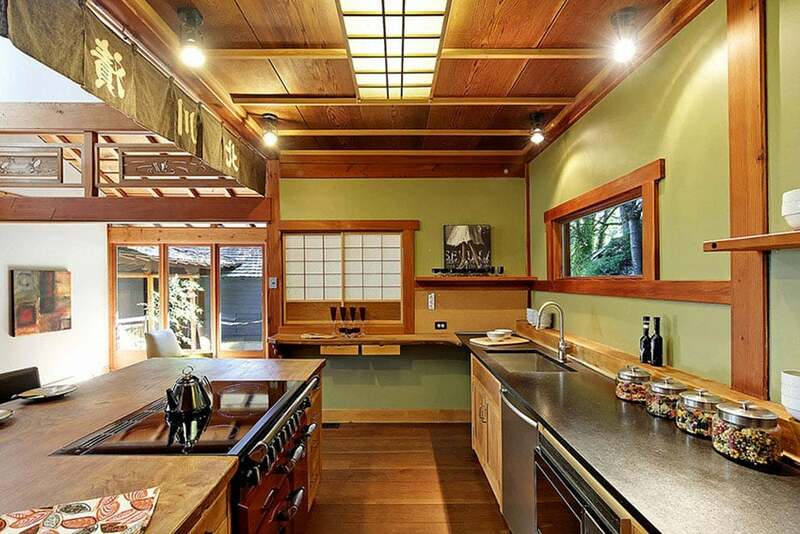 See examples of traditional kitchen cabinets here. People often interchange contemporary interior design with modern interior design. The two are completely different forms and each has their own unique characteristics. While modern design refers to a style which originated from the past, specifically during the 1920’s to 1950’s, contemporary interior design refers to what is current, trending or happening at the moment in the field of interior design. Unlike modern interior design which is fixed, contemporary interior design constantly evolves and changes with time, or it may differ from season to season depending on what’s hot. This type of interior design may take inspiration from the past and give it a different twist, but at the same time, it can be a new idea. Contemporary interior design is also best known for its comfort. It is more relaxed compared to other interior design styles and projects a casual and informal vibe. It is often bounded by the principles of form, function and friendliness. Unlike traditional interior design which is strict and formal, traditional interior design is open to new ideas and minimalistic in approach. Color palette: The color scheme for contemporary interiors are fresh yet subtle, often composed of neutral tones like white, gray, brown and blacks for the walls, floors, ceiling and accessories. These colors may be combined with a vibrant accent color to make the space more lively. Very light to dark wood tones. Walls are simple and usually neutral in color. The most common finishing is paint, but other materials are also used to give it texture like wallpapers, natural stone, wood, concrete, etc. Innovative materials like laminates, veneers, acrylic panels or resins are also prevalent in this interior design style. Flooring options ranges from natural to new materials like hardwoods, ceramic and porcelain tiles, natural stone like slate or travertine in neutral colors. 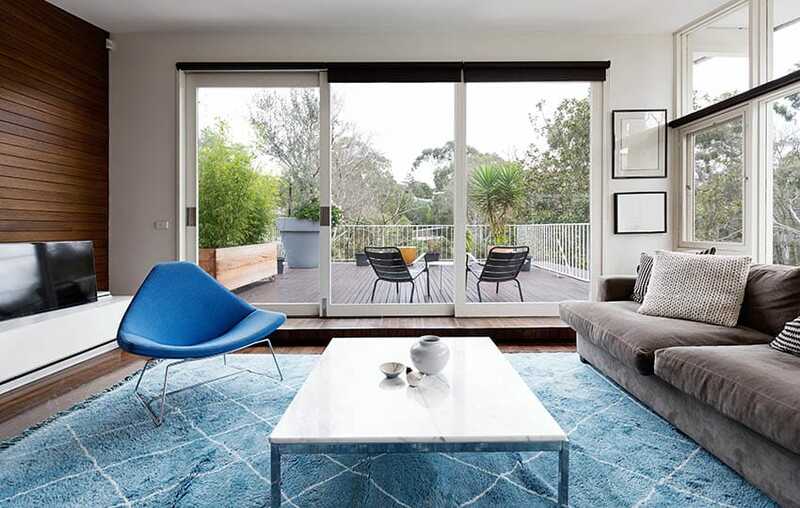 The design of flooring for contemporary homes have minimal lines, crisp but highlights comfort. Usually, an area rug is also used to delineate spaces or to give it a warm accent. Architectural details are not frilly and free from any form of ornamentation Unlike traditional style design wherein decorative columns are often adorned with motifs, contemporary style is simple and streamlined. Forms are more distinct, often curved or rectilinear. Think of large overhangs, flat ceilings, cantilevered details. In some cases, it uses a play of textures using finishing techniques or mixed materials as an accent for structural elements. For example, stair railings are made with a mixture of cables, steel and glass instead of the traditional wood only construction. Furniture pieces are more relaxed and casual. Contemporary style interior design does not put prime on heavy ornamentation, but instead pieces are more streamlined, rectilinear and clean. Visit this contemporary living room page for more ideas. Patterns and prints include stripes or geometric. This is often used on fabrics and textiles for soft furnishings, area rugs or throw pillow cases. In some cases, these patterns are also used in artworks. Accessories are also simple and refined. Lighting fixtures have distinct forms and often looks like modern works of art. There is also less collection on display and emphasis is given on a few pieces of decorative accessories like a piece of vase, interior plants or a mirror. Metal accent pieces are also very common in contemporary interior design. Puts emphasis on open plans. Wall and other forms of partitions are often removed to keep spaces more open and airy. Rooms are well lighted, often taking advantage of natural sources and ventilation.Floor to ceiling glass, big windows and skylights are employed to achieve a well lighted contemporary space. Use of a mix of synthetic and natural materials such as wood, rock, slate, teak, cotton, etc. to give the space a layering of textures and more character. Unlike traditional interior design which prominently uses dark woods, contemporary interior design utilizes woods which may range from light, medium to dark colored, so basically, all species are acceptable. 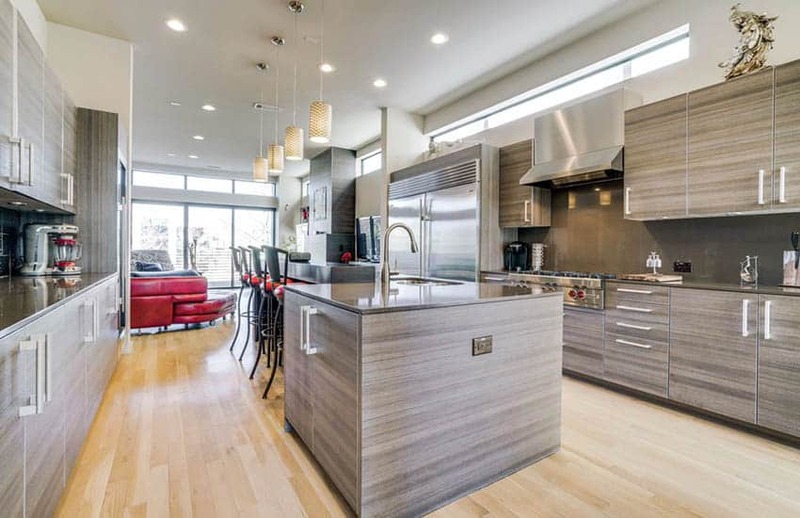 Check out examples of contemporary kitchen cabinets here. 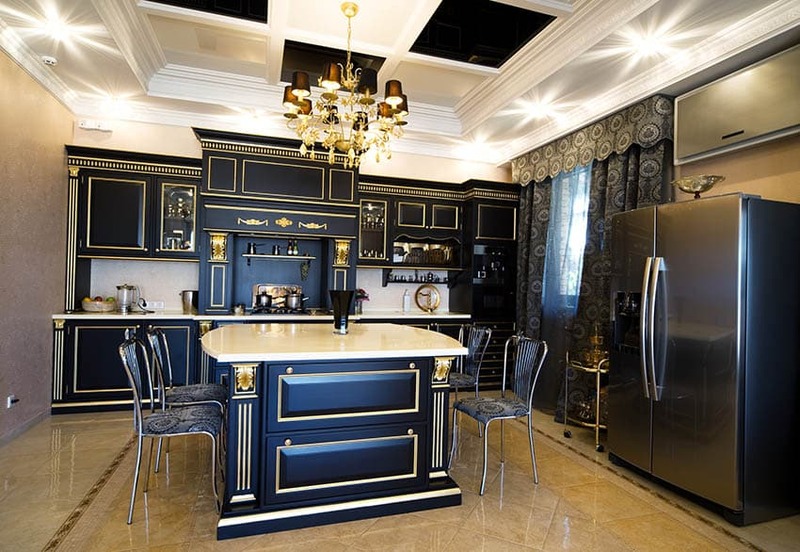 Modern interior design refers to a number of styles which flourished during the early mid 20th century, specifically from the year 1920’s to 1950’s. It celebrates the era of a number of styles like the Art Deco, Bauhaus, Scandinavia and the very famous Mid Century Modern. 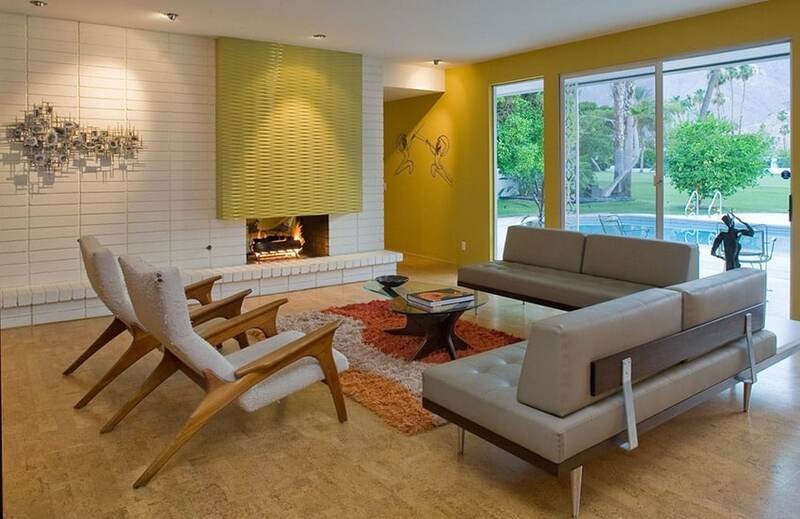 Mid Century Modern, the most prolific of all interior design styles, originated in the 50’s and 60’s. It is actually a design movement in the United States which celebrated the works of famous designers like Florence Knoll, Walter Gropius, Ludwig Mies van der Rohe and Le Corbusier, to name a few. Their furniture pieces eventually became popular “icons” in the field of interior, industrial and furniture design. Mid Century Modern interior design is characterized by its simplicity, straightforwardness and emphasis on functionality. It borrows inspiration from the danish and projects an overall look that is clean and has a retro feel. It is grounded by the design philosophies that “ form follows function” and “less is more”. Color palette: The color palette of Modern style interiors are composed primarily of neutrals and primary colors. This is often combined with bolo color contrasts. Examples of color schemes are : white, gray and red or bluish gray, cool gray, slate and vibrant orange. Asymmetry is a key element to modern interior design. Walls are plain, usually in paint finish. The most common wall color used for this interior design style is white – this is to make the furniture pieces and other details pop. Accent walls typically use wood panels or natural stone, but in minimal amounts. Flooring is bare. It is commonly finished with polished wood planks in a light to medium color. Architectural details are “ no frills”. Surfaces are polished and smooth. Everything has a well defined form, strong angles and clean lines. Furniture pieces have clean lines and basic forms, is typically made up of mixed materials like wood, metal, glass or leather. Mid century Modern furniture are iconic and often used as statement pieces in a space. Some examples of which are the Barcelona chair, The Grand Comfort, Egg chair and Tulip chair. Patterns and prints are highly composed of geometric shapes and lines. This is typically found on area rugs and other textiles. Accessories are limited. More often artwork are displayed instead of small items. Soft furnishings, as mentioned earlier, may have geometric prints but can also be plain. Use of a mix of synthetic and natural materials to create contrast. 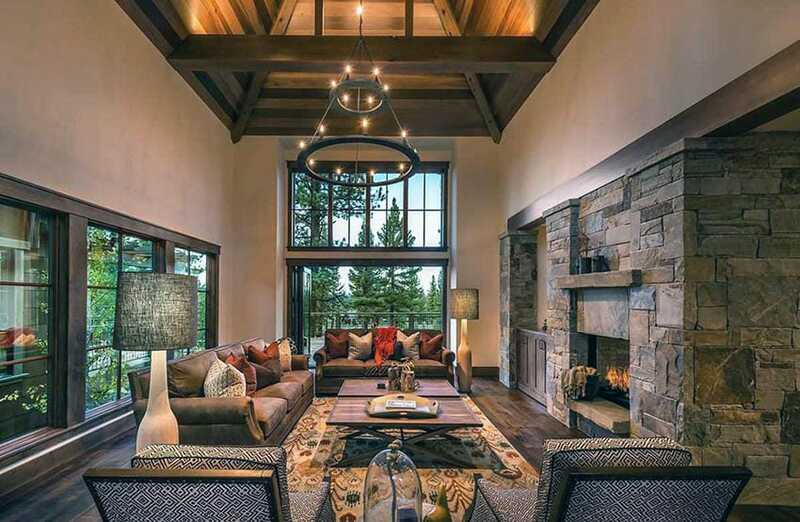 Natural materials like wood, leather and wool are added into the space to create warmth. Synthetic materials like molded plastic and plywood are also popular choices in mid century modern interiors. 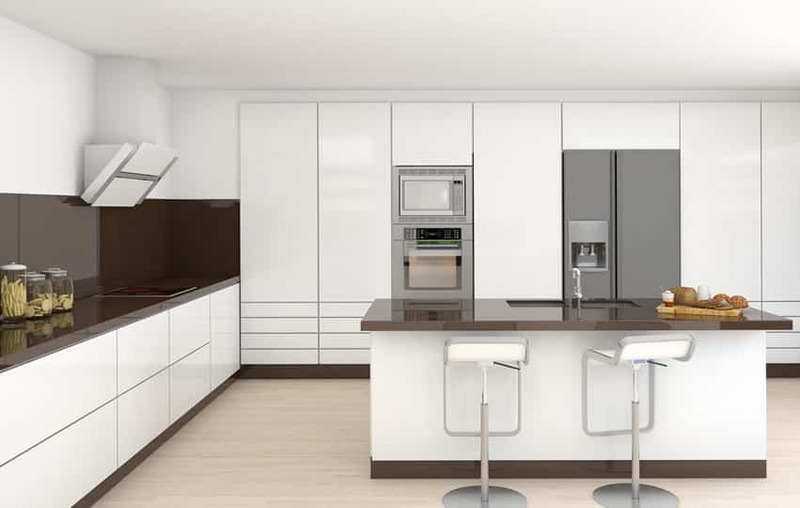 Modern kitchen cabinets are sleek and unadorned with flat surfaces and straight lines. Open plans are also tantamount to modern design. The goal is to keep the space clean and airy. Lots of windows are also used to combine the indoor and outdoor living spaces. A style which continues to pick up steam nowadays is Transitional interior design. This style is a fusion of two of the best styles in the field of design. It is a well balanced combination of contemporary elements, modern ideas, tied with traditional inspiration. Transitional style is ever evolving and is best known for aging well. This interior design style looks effortless, has a relaxed feel and offers comfort while also being sophisticated and elegant. It combines the warmth of traditional design with the simplicity of contemporary design. Overall, this interior design style is very classy and timeless. In terms of appearance, transitional interior design is very much similar to contemporary interior design. In fact, these two are often confused with each other, but one thing that sets transitional design apart is the use of traditional pieces in the space while keeping the rest of the design elements updated as trends change in contemporary design. This can be achieve by changing fabrics, textiles, paint, furniture and other finishes while keeping some traditional elements like artwork, lighting fixtures or paneled doors and windows to produce a fresh overall look. Color palette: The color palette of transitional style interiors are composed primarily of neutrals like white, beige, brown and gray. This is often combined with a subdued accent color like soft pastel hues. Flooring is typically wood planks. Architectural details are simple, have strong, clean lines. For example, plain white cornices for the ceiling, simple panelled windows, shaker style cabinet doors, unornamented wainscotting. 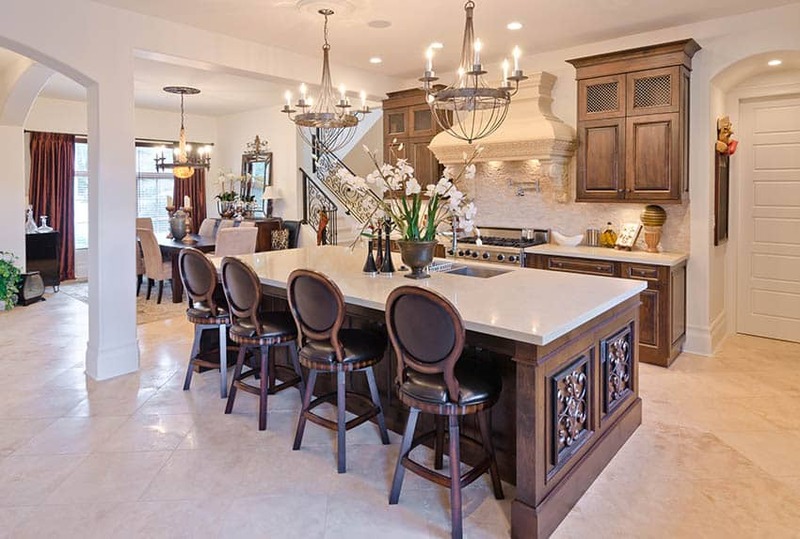 See pictures of transitional kitchen designs here. Furniture pieces have a contemporary classic vibe , simple, streamlined, with no frills yet very elegant. Think of fully upholstered sofas in textured, plain and neutral colored fabrics. In some cases, furniture pieces have a more traditional vibe but are toned down like tufted chairs, wingback chairs in a muted color upholstery. Does not use much patterns and prints for soft furnishings, but instead puts emphasis on textures. Accessories are limited, simple and often traditional in nature, mostly grounded in history. Examples of which are lacquered pottery and other curved furnishings. 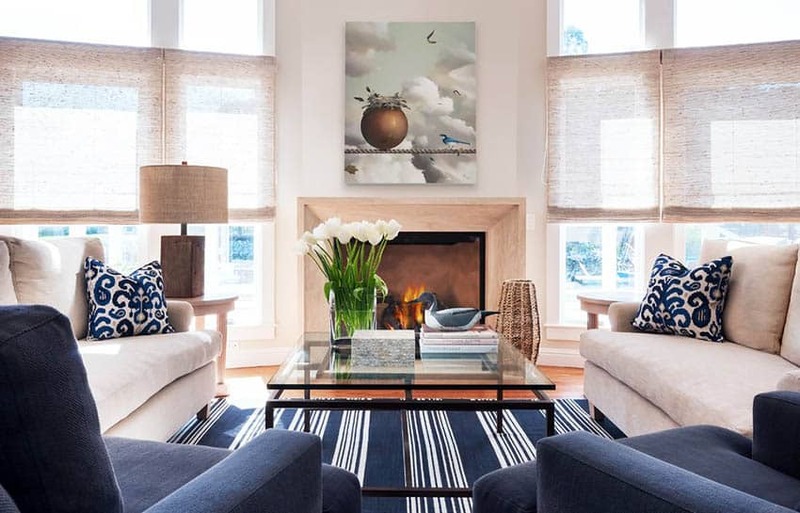 Artworks are also an important design element in transitional interior design and they are often used as statement pieces and focal points in the space. Layering of textures through the use of mixed materials like wood, leather, glass, fabrics like wool, rattan, lacquer, steel, metal, plywood, laminates and molded plastic. Shabby chic is an interior design style which gained popularity during the mid-80’s and 90’s. With roots traced back to vintage French design, shabby chic evokes a very relaxed, cool and laid back style. Compared to other interior design styles, shabby chic is leaned towards a more soft and feminine vibe. It has a rich vintage appeal, is timeless and looks lived in. The key to achieving this interior design style is to create a perfect balance between looking casual yet pulled together. Shabby chic is also used to describe a very crafty style, often showcasing DIY decor. Since this style is more artistic than the others, it gives homeowners and designers alike creative freedom, allowing them to create their own unique look. Color palette: The color palette for shabby chic interiors is pale, soft and mellow. It is typically composed of neutral shades and pastel hues. 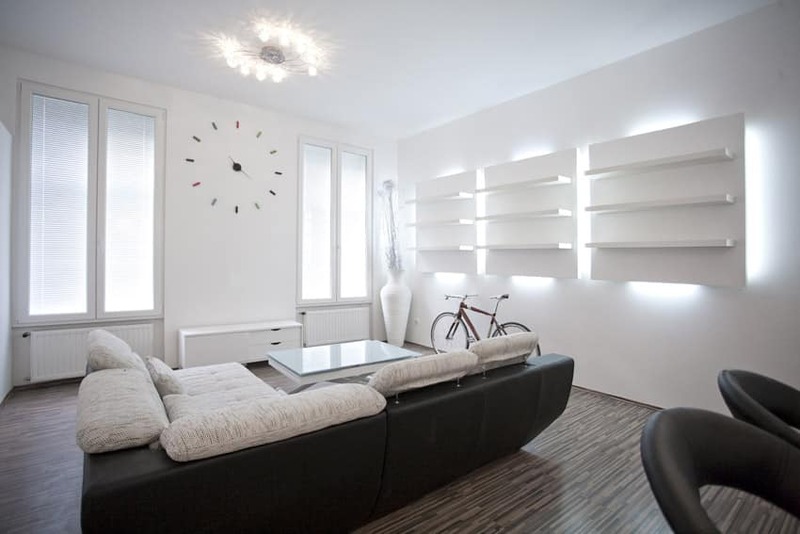 Light neutrals like white, or tan are often used for the walls or floors. Distressed wood finish, usually used for furniture pieces and other architectural details and furnishings. Varied patterns and prints ranging from florals, plaids often used in soft furnishings, upholstery or accent walls. In some cases, wallpapers used in a space are in varied patterns. Bright, light and airy feel. Lots of natural light through the use of big windows. 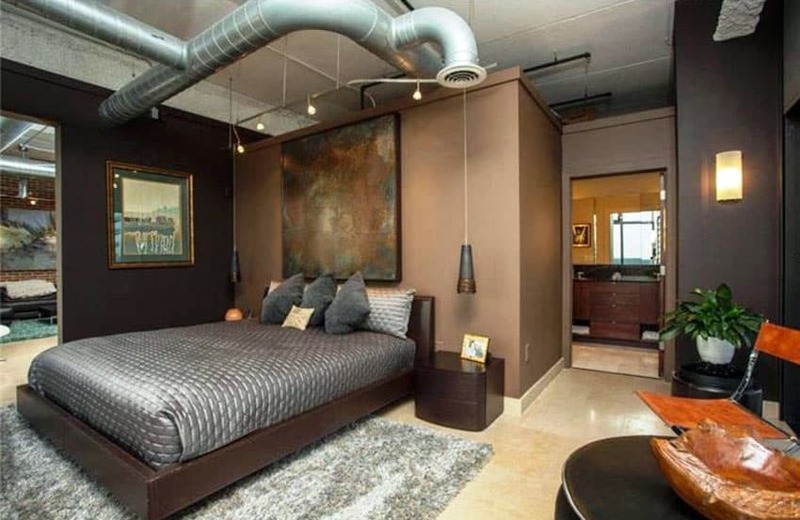 Industrial interior design is considered to be one of the most in demand style nowadays. Industrial home decor originated in North America during the 1990’s, wherein warehouses and old manufacturing facilities were refurbished and converted into multi unit residential buildings. In order to save on costs, pipes and electrical wiring were often left exposed instead of being covered up with a new finishing. Existing features of these old warehouses were kept instead if being covered up and replaced with new materials. Brick walls were also retained, old floors preserved and whatever remnant that can be salvaged is saved. This rough look and strong overall appeal created a whole new design aesthetic which was adapted in most condominium spaces, bachelor pads and apartments nowadays. 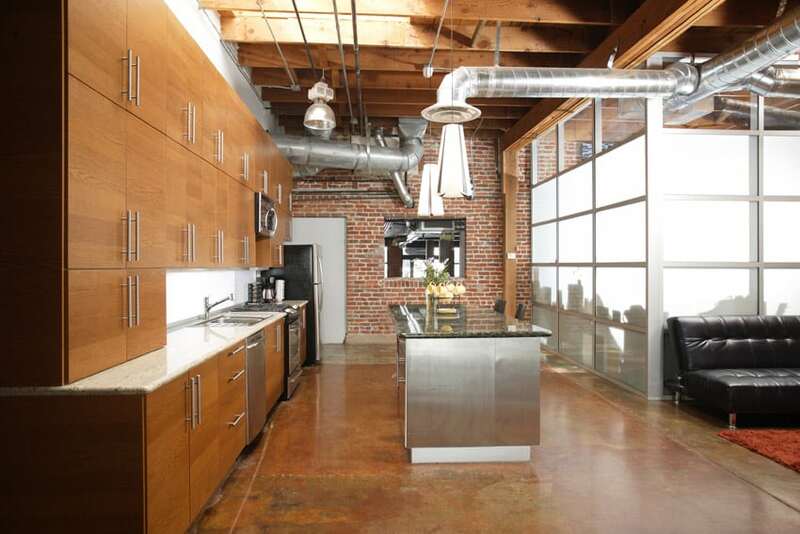 Industrial interior design evokes a strong urban vibe. If shabby chic is leaned towards a feminine vibe, industrial design, on the other hand, evokes a more masculine aesthetic and feel. It is also minimalist and has a clean look. This interior design style is recommended for use in large spaces as most of its design elements are oversized. Color palette : Industrial style interiors feature a neutral color scheme, often dominated by whites, shades of gray and brown. Accents colors are strong and moody like deep blues, burnt orange and other rustic colors. Architectural details are unrefined. For example, pipes and electrical wires are exposed in ceilings and walls. 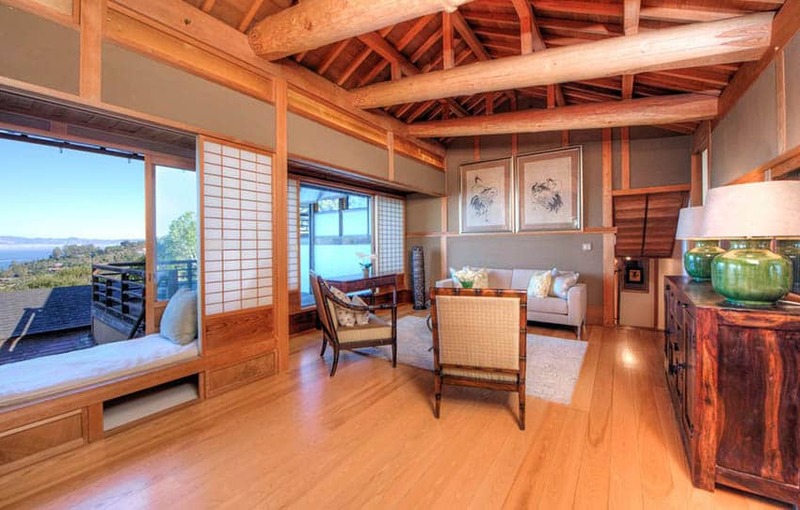 Wooden ceilings and existing beams are retained to stay true to its rough feel. Statement making accessories like reclaimed machinery and items with a steampunk appeal. Vintage accessories and utilitarian objects are also used as statement pieces in industrial style spaces. Examples are lighting fixtures with an antique finish and metal accessories, oversized machineries, etc. Some say that clutter can have a negative effect on one’s life. And no matter how good a space looks, if it is filled with clutter, then it can instantly change the way how you perceive it — chaotic, heavy and dark. This is where the minimalist interior design originated. A product of the minimalist movement, Minimalist interior design style is grounded by the principle “Less is more”.What sets Minimalist interiors apart from other interior design styles is that its is more than just fashion, but it is a way of life. Minimalist interiors boasts of refinement, elegance, functionality and a clean and uncluttered look. This interior design style aims to create spaces which look bright and fresh, while using the least amount of decor and furnishings, and retaining only what is most needed in the space. The goal of minimalist interiors is to make a room “clutter free” to bring about a relaxing and peaceful vibe to the users of the space. Some say that this interior design is hard to pull off, since the reduction of clutter can sometimes be associated with a feeling of “emptiness” — a space with less furnishings may give you a feeling that sometime is missing, or it can also be associated with a stark coldness. But contrary to all of this, minimalist interiors showcase how simplicity can be rich, and how less can be beautiful. The key to creating minimalist interiors is to keep your space design well thought of in terms of maximum functionality. A good example of minimalist interiors are modern art galleries — these spaces are often filled with only the bare essentials but they still feature a dynamic and organic vibe. Color palette: The color palette for minimalist interiors is limited. 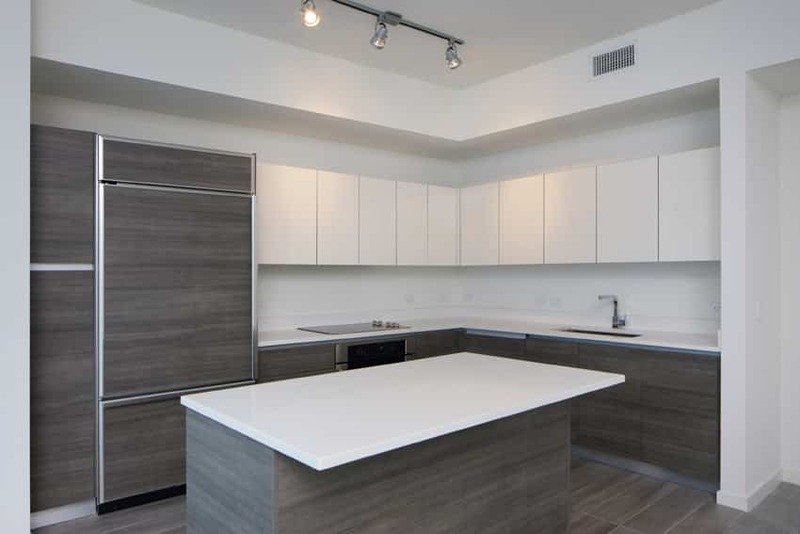 Minimalist interiors typically feature one or two colors, usually neutrals like white, black and gray. 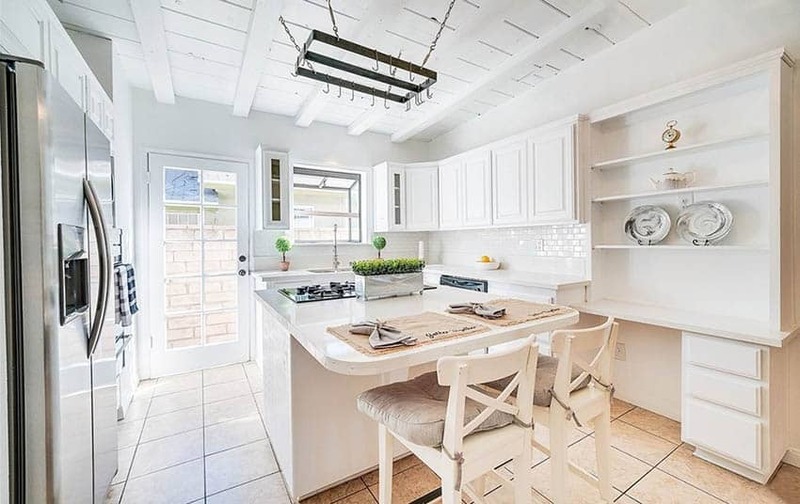 The most popular color used is white as this promotes a clean look and can make a space more bright. Other options include natural shades like cream, beige, pake grays, shades of brown and subdued yellows. To add more life, one accent color may be included in the color scheme but try to use it in the least amount possible. To make it an effective part of your minimalist interior, try using your accent color as paint for an accent wall or for alcoves. You can also incorporate it in accessories and other soft furnishings like area rugs and linens. Accents colors for minimalist interiors are subdued, often contrasting to neutrals, so think of deep reds, dark blue and mustard yellow. Furniture pieces are streamlined, have strong forms and are polished. Very minimal to no use of accessories. Usually, the surfaces of furniture like side tables and coffee tables are mostly bare. Finishing touches may be added, but keep the accessories simple yet striking. A variation of the modern style, Ultra Modern interior design projects a more deluxe and high fashion look. It is somewhat like a leveled up version of contemporary, industrial and modern interior design, all rolled into one. Combining these three styles together produces an aesthetic that is stylish, chic and bold. Ultra modern or Urban Modern interior design is tantamount to cosmopolitan living and an urban lifestyle. Think of an upscale apartment in the big city, or an uber sleek penthouse unit. Color palette: Just like modern interiors, the color palette of Ultra Modern interior design is also grounded on neutrals like black, white and shades of gray. It is almost similar to mid century modern and minimalist but is more bold and lively. The neutral color scheme is combined with a pop of bold accent color like bright oranges, fire truck red or yellow often introduced in the space in small touches. For example : a piece of accent chair, a bold artwork, an area rug or throw pillow or an accessory. Statement making pieces and accessories. 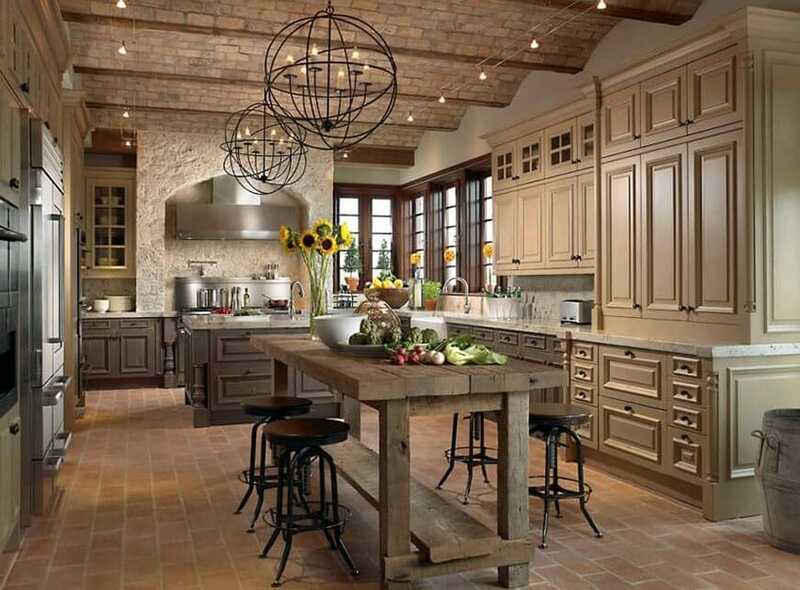 Rustic interior design is a style which is tied with nature. It takes inspiration from the outdoors and aims to bring the warmth and relaxing vibe of nature inside the home. Rustic interior design style projects a look that is homey, cozy and well lived in. This interior design style is also best known for its heavy sense of comfort and casual elegance by using old fashioned furnishings and raw materials. It also aims to bring put the best of natural materials by retaining their natural finish. 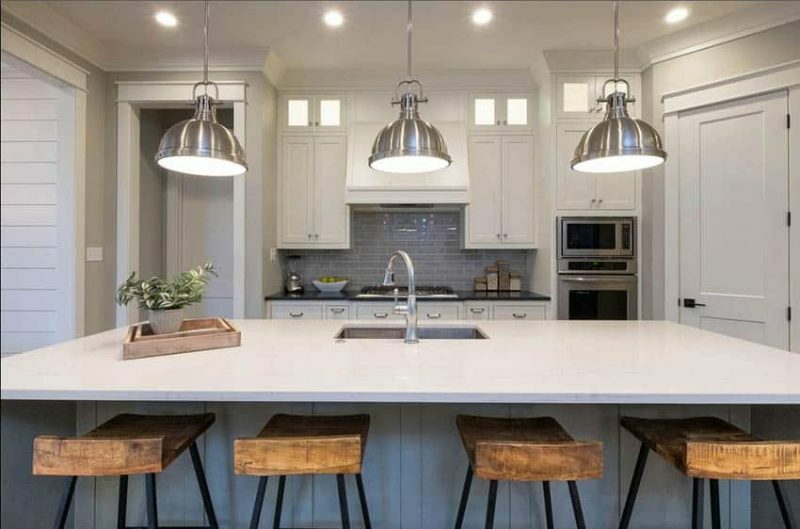 In terms of appearance, it looks like a perfect marriage of farmhouse style design and industrial style design. Color palette: The color scheme for rustic interiors is composed of earth colors and hues which are found in nature. Think of whites, beige, shades of browns, yellow and greens. The neutral color palette is often combined with accent colors that bring a bold touch to the room. Popular accents colors which work best for rustic style interiors are deep jewel tones like reds, pinks, purples, blues and greens. Highlights flaws of materials like the knots or grains of woods, rough stone edges, etc. Architectural details look organic and raw. Some popular features for rustic interiors include oak beams, reclaimed wood doors, open fires, slabs, accent walls in stone finish. Mismatched furniture pieces. See pictures of rustic living room ideas here. Handmade accessories which have an old and worn appearance. Like the furniture and finishes, rustic decor puts emphasis on natural materials which have a weathered finish. These accessories are not only chosen for the visual effect that they contribute to the space but they should also be functional , practical and must be comforting. 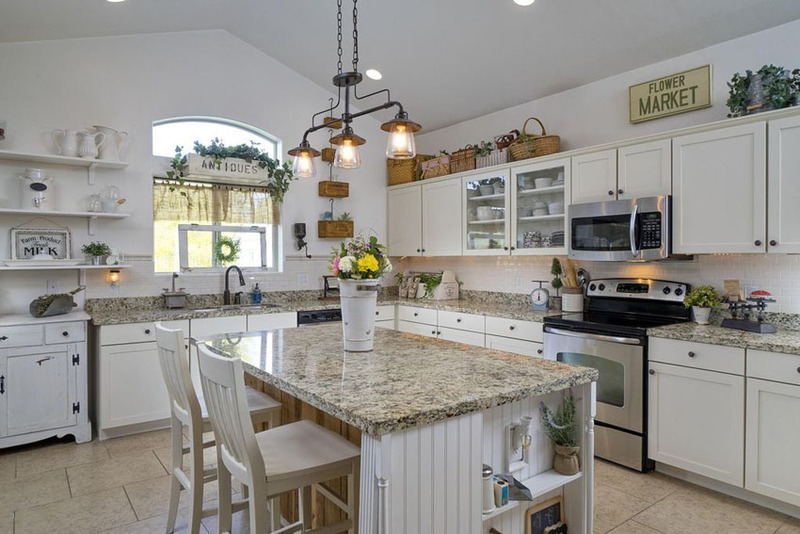 Rustic kitchen cabinets have an abundance of natural beauty and character. They feature raw and weathered surfaces, carved solid wood, warm colors and rugged aesthetics. Inspired by the sand, sea and the beach, the coastal interior design style is perfect for homeowners who would like to bring a chill and relaxing feel into their home. Coastal inspired interiors project a strong “beach house” vibe that it will leave you feeling in a vacation time mood all year round. This style is perfect not only for those who live near the beach, but also those who wish that they did. This interior design style is the perfect mix of casual and elegant. Color palette: The color scheme of Coastal inspired interiors is composed of refreshing colors and cool hues to create a serene space. 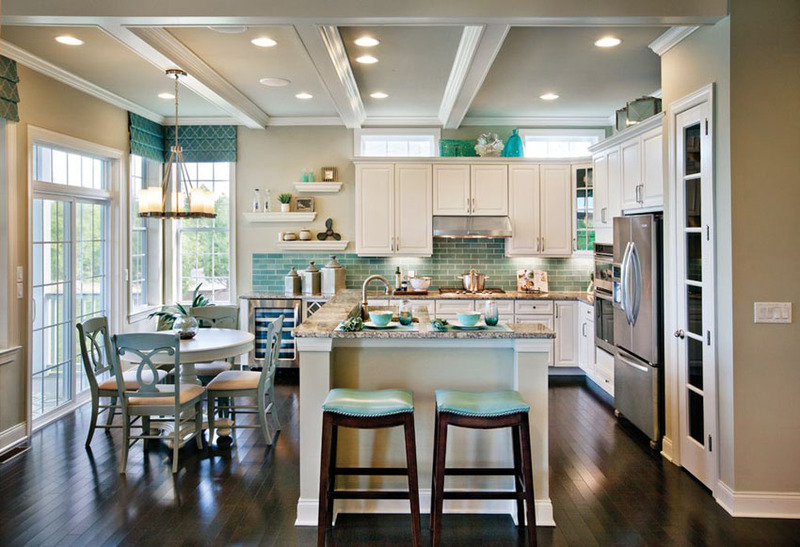 The coastal inspired color palette features light and bright neutrals like white, creams and beiges, sand, and cool hues greens and shades of blue like sky blue, teal and aqua. Vibrant colors similar to the rays of the sun like vibrant yellows, mustard and golds are typically added in small amounts to make the room extra cheery. Typically, coastal inspired interiors are dominated by white — white walls, white ceilings, white furniture pieces and white soft furnishings. Then combined with any other accent mentioned above to break up the monotony of the space. Natural materials like jute, cotton, wicker, rattan, stone, etc. Furniture pieces are often made up of natural materials too, like woven wicker and seagrass. For more inspiration see pictures of coastal living rooms here. Accessories and decor that have a nautical theme. Think small framed pictures, collected shells and stones, glass vessels and other beach finds like drift woods. Scandinavian interior design style is almost similar to minimalism, but it it is inspired by Modernism. Characterized by a clean and serene look, Scandinavian interior design style emphasizes functionality and simplicity. Much like the minimalist and modernist styles, Scandinavian interior design is grounded by the mantras “Less is more” and “form follows function”. It projects a very relaxed style through the use of a well balanced combination of simple interior design elements. This interior design style is not hard to achieve since most furniture pieces and accessories which are sold in the market have Scandinavian influences. In fact, Scandinavian interior design style is one of the most used styles for apartments, condominiums and pads. Color palette: The color scheme of Scandinavian interior design focuses on subtle and neutral colors. Hues of whites, grays, browns and blacks are dominantly used but small splashes of accent colors like fuchsia and sea green may be introduced via artworks or small accessories to make the spaces more interesting. Majority of Scandinavian style interiors feature white walls and white ceilings to produce a clean and soothing look. Hardwood flooring in light colors, natural finish or white. Country style interior design is well loved for the warmth and comfort it brings into a space. 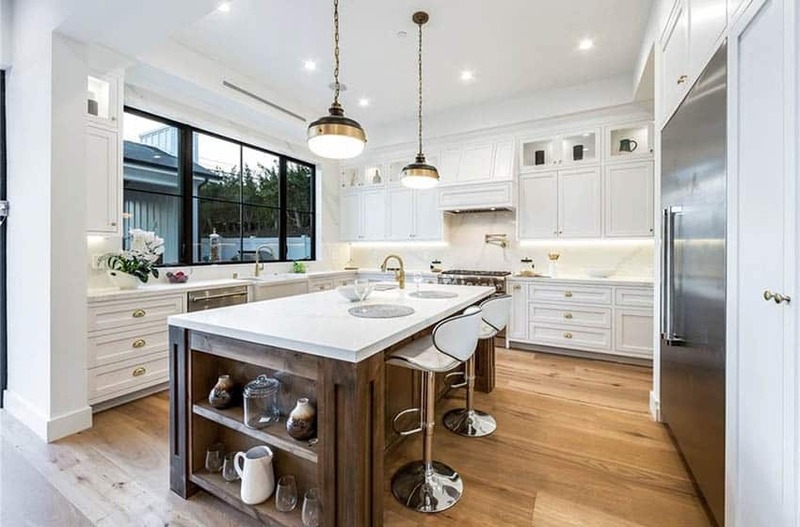 This interior design style has several variations such as French country, Modern country, Country farmhouse, all of which are generally characterized by a look that is sophisticated, formal, vintage and charming. 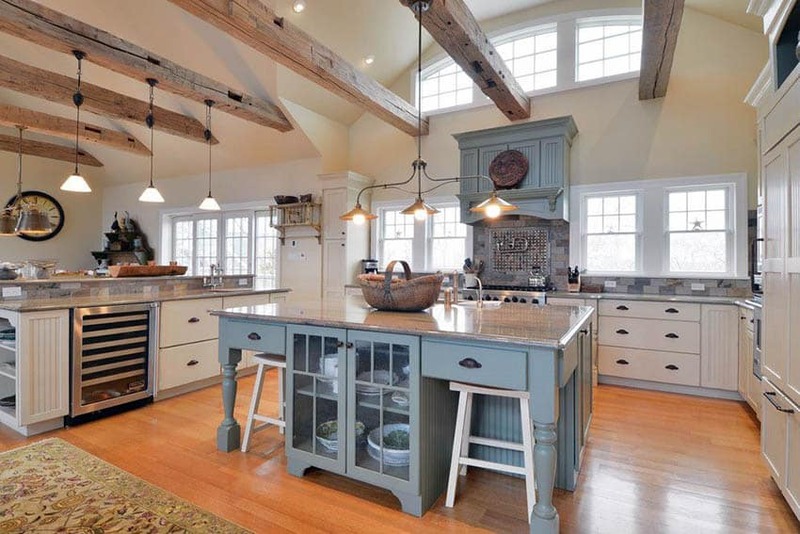 See more examples of Country kitchen designs here. Technically speaking, Country is categorized as a “period style” in interior design. Period styles are interior design styles which, as the name suggests, originated from the classical eras in history such as the Gothic, Renaissance, Baroque, Rococo, Tuscan, Art Nouveau, Art Deco, etc. These styles bloomed during the 14th century up to the 19th century. French country is a mix of antique French, farmhouse and shabby chic interior design styles. This interior design style is timeless and is best known for its warm spirit and charm. Among all the interior design styles, French country is the most romantic and projects a well balanced mix of luxury and elegance through the use of elements that possess everyday provincial glamour. It is also relaxed, cozy, comfortable and has a welcoming feel. Color palette: The color palette of French country inspired interiors is composed of subtle hues and warm neutrals. The aim is to create a color scheme that is exactly the opposite of ultra modern interiors. Neutral shades are dominantly used for the walls, floors, furniture and finishes. Instead of crisp, bright shades of white, white with yellow undertones are used to add in warmth to the space. Some other best color options for French country inspired interiors are greige, beige, cream and cool gray. Soft pastels like powder blue, lavender and mellow yellow are also superb choices, as well as muted versions of colors like pale sage, olive greens and light blue gray. 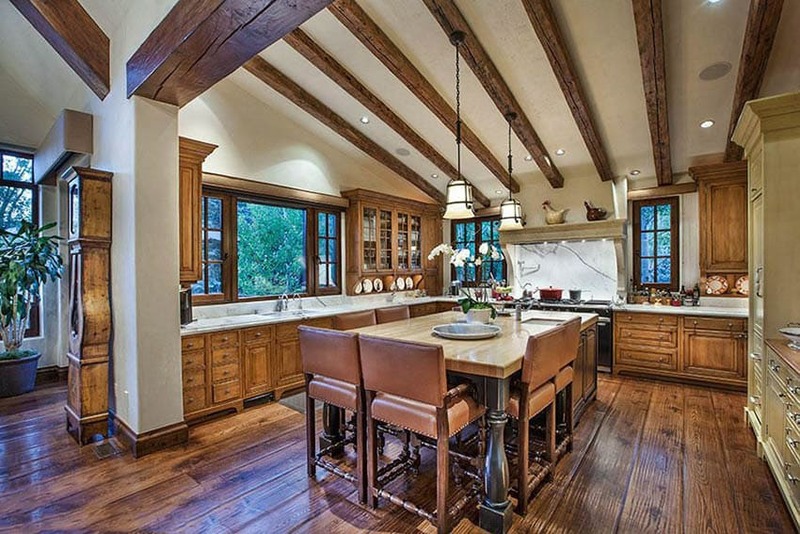 Architectural details like exposed wooden beams, French doors, simple cornices and moldings. Antique white finish for the cabinets and furniture pieces. See pictures of French provincial bedrooms here. Furniture style is laid back yet has a touch of drama. Its forms and silhouette are relaxed and more graceful, rather than boxy and streamlined. Think antiques and period style furniture that have traditional ornate details like Louis VI chairs, details like claw foot tubs, club foots, cabriole legs and gilded finish. Toile or floral patterned fabrics are used for soft furnishings, curtains, cushions, furniture upholstery, throws and accent pillows. Accessories must bring in an element of history into your home. Examples of which are cast iron decor, crystal chandeliers, intricately carved mirrors, , colorful ceramics and accessories with gold details. Artworks are usually moody, has dark, colorful details and have themes like scenery or have a sense of history. Shabby chic decor are also commonly used as finishing touches to a French country interior. Modern farmhouse or farmhouse style interior design takes inspiration from the Rustic and Country styles. Both are well loved fro their warmth, coziness and comfort, but the difference between the two is that Farmhouse style is more casual and laid back. Ornate and dramatic details are also eliminated and replaced with more simple and minimalist touches. Overall, farmhouse style interior design is a perfect balance of rustic and sleek. Country elements are updated to make them more geared towards a more Industrial, Minimalist and Scandinavian appeal. The most enduring characteristic of Farmhouse style interior design is that it is refined, practical, relaxed and inviting. Color palette: The color scheme for Modern Farmhouse interiors puts emphasis on neutral colors like whites, cool grays and shades of brown. Beiges, greiges and muted greens , together with accents of mellow hues and soft pastel shades are also excellent Modern Farmhouse colors. Organic and natural materials like wood, stone and fibers (e.g: marble countertops, wooden beams, stone walls). Avoid synthetic materials such as plastics, acrylics and fiberglass. Furniture style is relaxed and have Scandinavian influences. Furniture pieces are utilitarian and have simple details. Accessories are “country chic”. Old and new elements are mixed. Think heirloom pieces, unique time worn decor, weathered hardware. Skip old school country decor like printed or gingham fabrics but instead opt for natural fibers such as hemp, cotton and linen for the soft furnishings. Lighting fixtures have an industrial feel and are often made of metals. 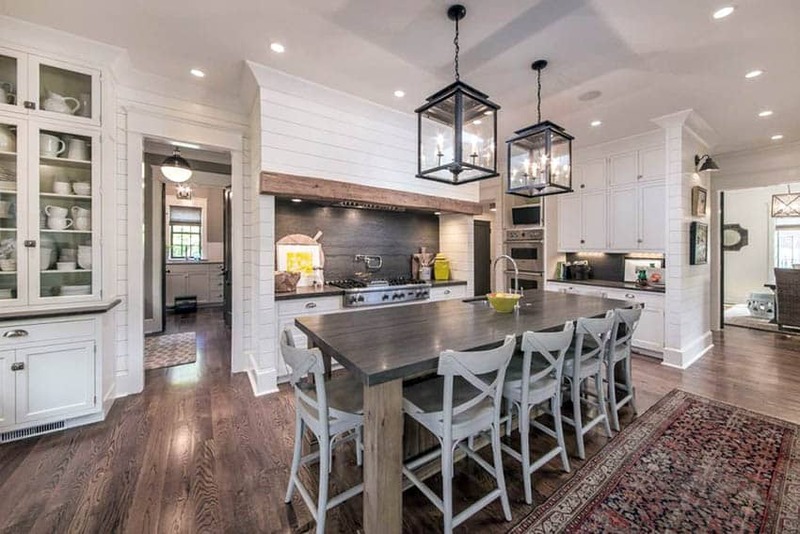 Examples of which are oversized pendant lights and rustic sconces. If you can’t stick to one specific interior design style to use for your home, Eclectic interior design may work best for you. Eclectic interior design is the combination of different styles to produce a rich and alluring visual aesthetic. Not to be mistaken as “whatever goes” or “a hodgepodge of styles”, Eclectic interior design has to be well edited with different design elements to create an overall look that is well balanced and not chaotic. The best thing about eclectic interior design is that it isn’t limited to one specific look. Unlike traditional interior design, eclectic interior design is not bounded by a set of rules. It gives homeowners maximum creative freedom, the opportunity to experiment and play with furniture and furnishings. Homeowners can also easily inject their own personality into their space using this interior design style. Eclectic interior design has a “bohemian” vibe – highly energetic, dynamic and bold. The key to creating an effective Eclectic inspired interior is harmony. Color palette: The core color palette of Eclectic style interiors is bold, vibrant and lively. Typically, one neutral hue is combined with one accent color and these colors usually have a strong contrast between them . Soothing neutrals like soft grays, whites or beige are the most common base colors for walls, floors or ceiling, as they do not look too overwhelming when combined with rich accent colors. As far as the accent color goes, there is really no limit. Asian Zen interior design style is very much grounded on minimalism, but it is uniquely layered with Asian influences and takes inspiration from Japanese, North, South and East Asian cultures. Zen, in Japanese, refers to the value of meditation and intuition. We often associate it with peace, calmness and serenity, and these same principles serve as the foundation for Asian Zen inspired interiors. This interior design style has spaces which are simple, clutter free and boasts of a feeling of openness. It is sometimes likened to an oasis which evokes a tranquil and relaxing vibe. Many homeowners are drawn towards Asian Zen inspired interiors because it is highly visually relaxing and is well balanced. Color palette: The color palette of Asian Zen inspired interiors is generally calm, composed primarily of whites and soft neutrals for the walls and furniture pieces. Dark accent colors are typically added to the color scheme to give more depth to the space. Bright colors which are found in nature like blues, greens, reds and oranges are the most common accent colors for this type of interior design style. Clean lines, squares, rectangles and circles are heavily featured in architectural details, the form of furniture and furnishings. It avoids intricate shapes and designs. Asian inspired decor and minimalist artworks. Veers away from attention grabbing accessories like patterned wallpapers, loud art and other statement pieces, but instead embraces low key decor. 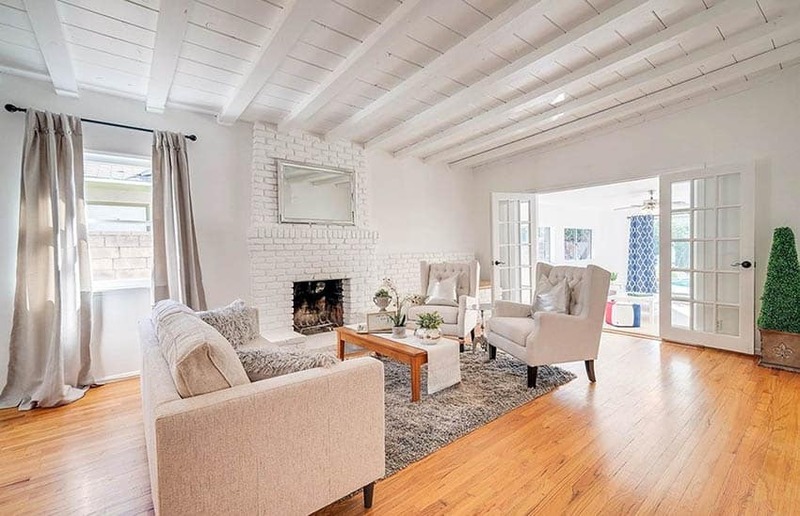 The most prized quality of Hollywood Regency interior design is that it will never go out of style and is guaranteed to endure despite the ever changing trends in the market today. Color palette : The color palette for Hollywood Regency inspired interiors is neutral toned room combined with high contrasts. Two to three complementary hues anchored on white, gray and black tones. Soothing cream and ivory shades are also colors dominantly used in Hollywood Regency inspired spaces. Accent colors with subtlety and a quiet strength are typically added to the color scheme in small doses to make the space less monotonous. Examples of which are blue gray, powder blue, slate and shades of brown. Vibrant Metallics like golds and silvers are also a favorite in this type of interior design. Emphasizes decorative drama. Mix of French inspired furnishings, crystal vases, mirrors , velvet throws, plush pillows with details like fringes and tassels. To better visualize many of the design elements on this page there is an assortment of interior design software available. These programs can help you design a room layout using different finishes, and materials to help you achieve the look you desire.